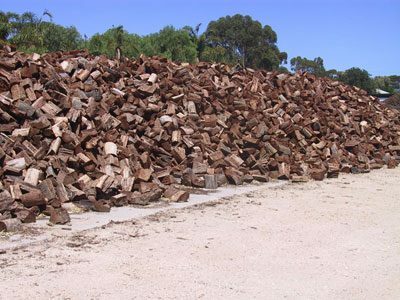 WOOD’N’LOGS has been a dominant supplier of bulk firewood to the Southern area of Adelaide and across the Fleurieu Peninsula for the last 30 years and that tradition still carries on strong today. 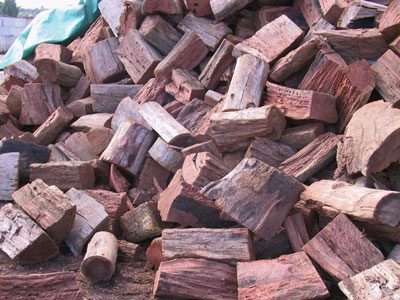 We Keep approximately 400 tonne of firewood in stock during the winter and pride ourselves on the quality of the product. We keep our fire wood under cover with large grain tarps so you can always be assured you are getting the driest and best wood available for burning. We sell firewood by weight over our weighbridge. You are welcome to collect it in the boot of your vehicle, borrow one of our trailers or call us to have it delivered promptly to your front door. Along with the firewood we also have available bags of Kindling, Firelighters and a small range of fireplace accessories. To see our Wood burn, call in to our showroom during winter where our combustion heater is sure to be running.